Turn business intelligence to your advantage. 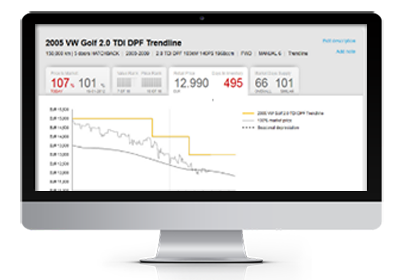 INDICATA enables car makers, dealers and fleet operators to turn data-driven insights into a competitive advantage and provides them strategic guidance to improve operational efficiencies in their used vehicle operations. Put data-driven insights in every decision you make. The platform collects, processes and analyses live used car market data to provide insights on market dynamics including demand, supply, pricing, inventories, etc. Data of all used cars currently for sale in a market are gathered in real-time. 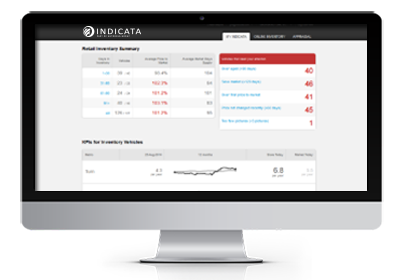 INDICATA provides major KPIs to success which allow an efficient way to improve performance and efficiencies in your used vehicle operations. 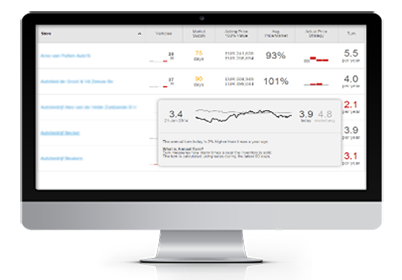 Manage risks against ever changing market conditions. INDICATA is an integrated suite of advanced modules which offer users at corporate, NSC’s, importers, field and dealer levels a range of unique features and functionalities with which to efficiently manage their used vehicle operations. Your guides in improving your used car business. The journey really starts once INDICATA system is live. Think of our services team as your Sherpa, guiding and doing the heavy lifting as you work to improve the efficiencies in your used vehicle operations. Improve your used vehicle operations now. 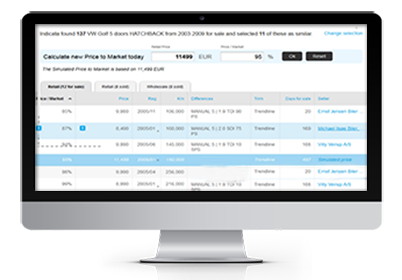 Request a demo or get started with a free trial.